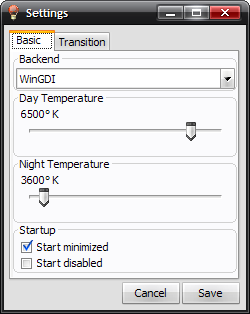 Monitor temperature adjustment program based on time of day. Helps prevent eye strain. 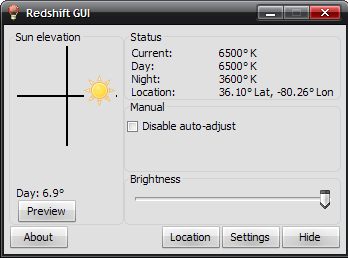 RedshiftGUI is a fork of the Redshift project by Jon Lund Steffensen. It was something I made because I wanted a GUI version of the program. The Redshift project itself is inspired by f.lux, there's more information on the benefit of this program on their home page. 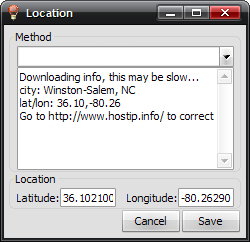 You can tweak some of the settings, but the default should work fine. WinGDI has a lower limit on gamma ramps, so brightness cannot go below a certain limit.